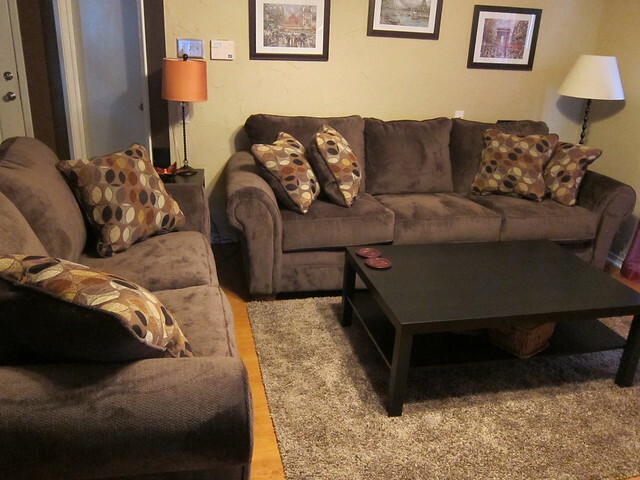 Last weekend John and I had our new living room furniture delivered! 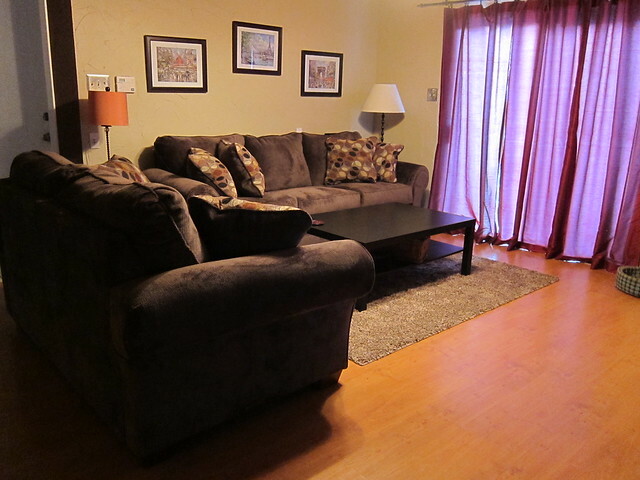 We had decided to get a new couch and loveseat for the living room and ended up falling in love with an entertainment center so we really did get almost new everything. I also bought a new rug at Lowes as my first accent piece. What do you think of the new look? The color in these pictures despite my best effort with lighting and camera setting look brown. Their official color according to the store is charcoal, but they really are a grey green and lean more towards the green than anything else. 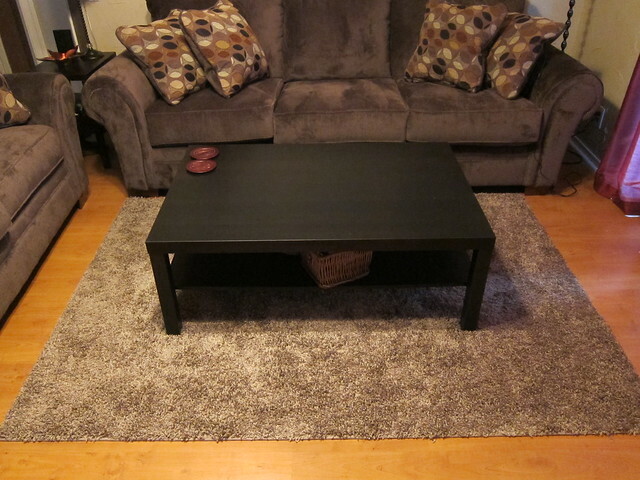 We got a new coffee table a couple months ago and it fits in with the new furniture nicely. I really wish the rug was a few inches bigger, but oh well. The next size up is HUGE so it is what it is. This is the entertainment center. I'm excited about all the storage space! 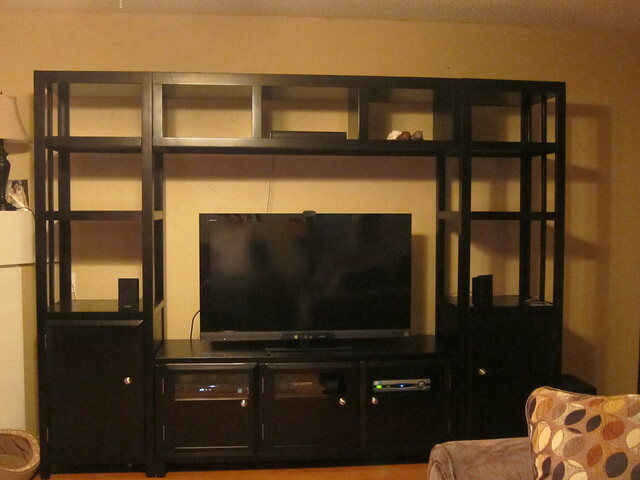 What's great is that the pieces are modular so if in our next house we don't have the same wall space we can use just the TV stand, create a bookcase with the two taller pieces and store the top middle piece in the garage. 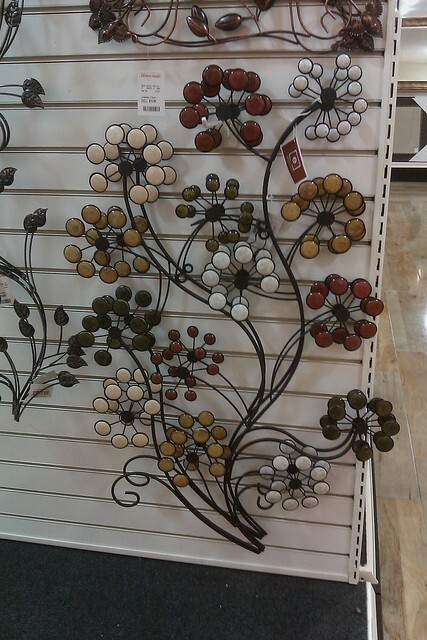 I saw this at Home Goods and thought I'd use it as my color inspiration. This design board from Young House Love also captures what I want from the room. 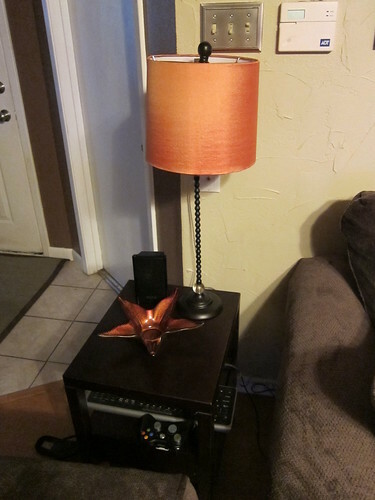 I'll add to the entertainment center next, but what I REALLY want are pillows and curtains. If only they weren't so expensive! My biggest debate are the curtains though. Do I keep the red that we have? Do I go for a darker red (ours are dark, but I really want thermal ones to keep out the Texas heat)? 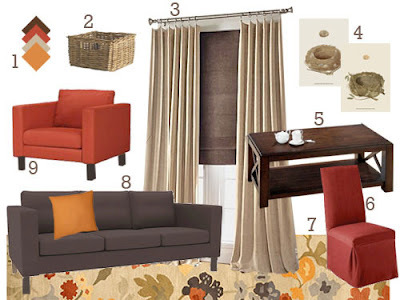 Do I go with copper curtains? Should I go neutral? I've been leaning towards neutral, but wonder if that may blend in with the walls too much? I'd love your feedback! 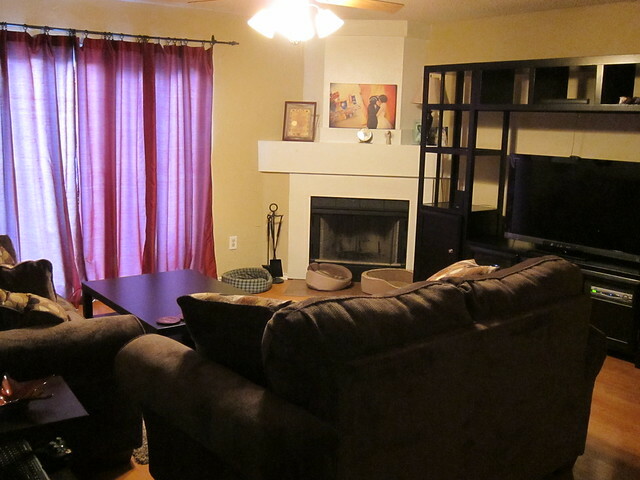 Your TV looks REALLY SMALL in that entertainment center. You should probably tell your husband to go buy a new one. Just tell him to pick out whatever her wants.